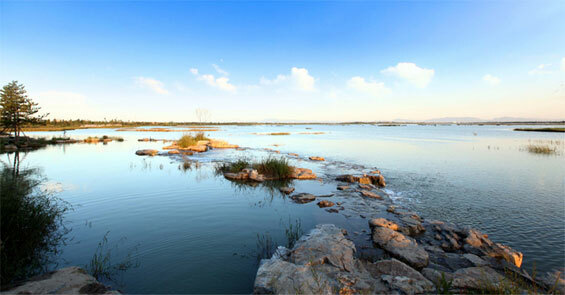 The Wenying Lake reservoir, also known as the “Mother Lake”, is the most important water supply for the ancient city of Datong. With a massive increase in urban development since the 1980’s, the once plentiful lake waters have been depleted, draining the site not only of water, but natural ecosystems and beautiful scenery. 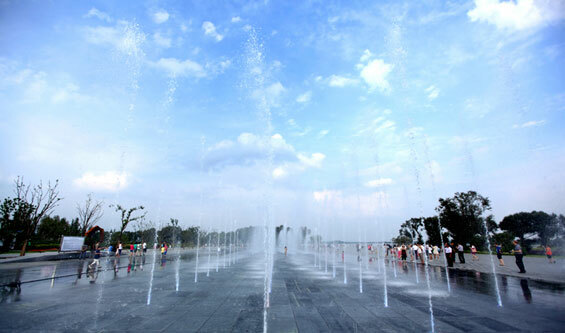 Recently, the Chinese Government set up an ambitious plan to secure the water supply to Beijing: the Wenying Lake reservoir is a prominent pearl in this chain of water resources. 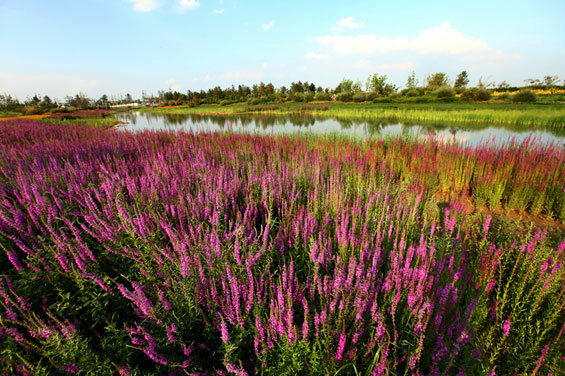 With the assurance of the water supply, Datong started its own ambitious project – to restore the ecosystem through meticulous planning and design, bringing life and beauty back to Wenying Lake. 2. to become a major draw for people and establish waterfront recreation. To achieve the goals, a simple approach was taken. Planting serves as a foundation around the lake. 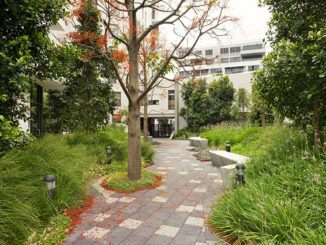 On the City side (west), there are the paths and entry plazas corresponding with the urban fabric, connecting to the waterfront in a series of decks, steps and long esplanades. 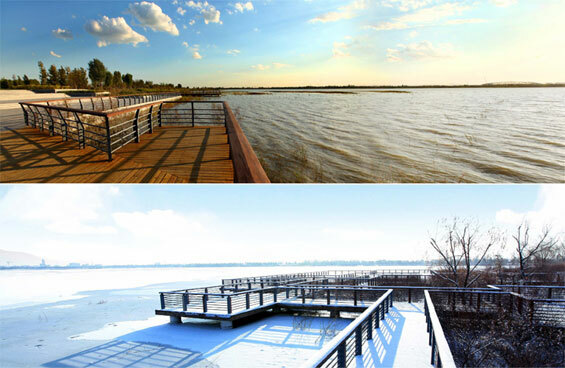 On the east side, the lake is designed to be passively used, sometimes restricting human activities, in order to establish a non-disturbed ecological zone. Today, water, wildlife and people are flooding back to Wenying Lake. The reservoir has been reborn. Contractor | Beijing Oriental Landscape Co., Ltd.